This is the ‘soft skills’ section of Growing Talent’s 12 week programme. Usually carried out halfway through. It’s a time for the Growing Talent Associates to meet up again and encourage each other face-to-face as well as learn some wellbeing techniques and ‘kick back’ a little from their usual work timetable! 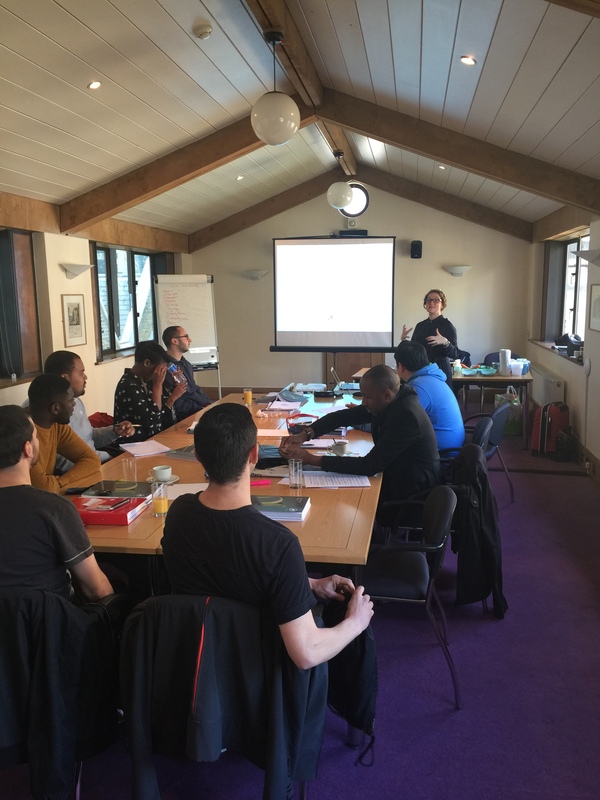 We returned to Southwark Cathedral were we held the Orientation Week back in early February! At least no more presentations before senior managers! 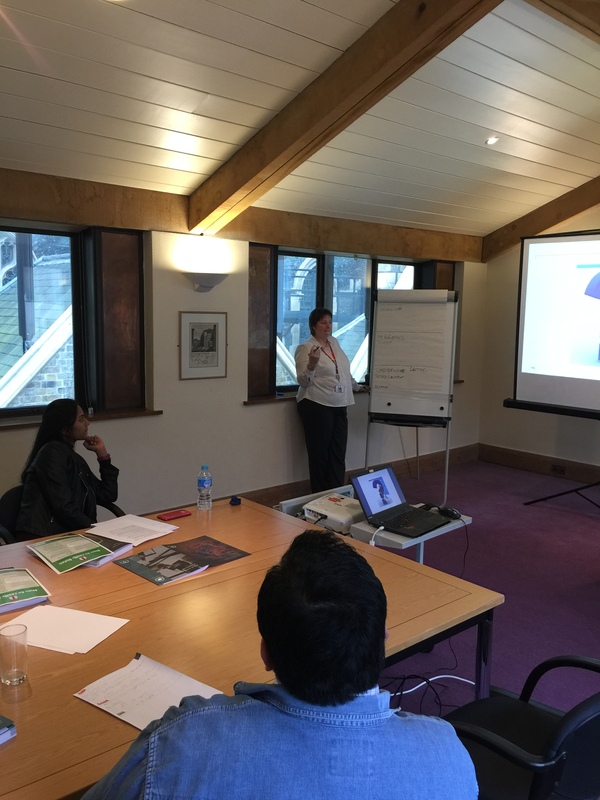 Monday – parts 1 & s of Mental Health First Aid – a global course resulting in a qualification as a MHFAider. This is an intense four part global programme so we lightened the learning a little with Lesley’s 3Rs! Lesley, seen above, is part of the Health & Safety team at PwC. Her 3Rs are Refuel, Recycle and Refresh. It’s all about what to eat, how much sleep, exercise all the usual things we need to consider when making choices. It’s especially difficult doing this on a strict budget! 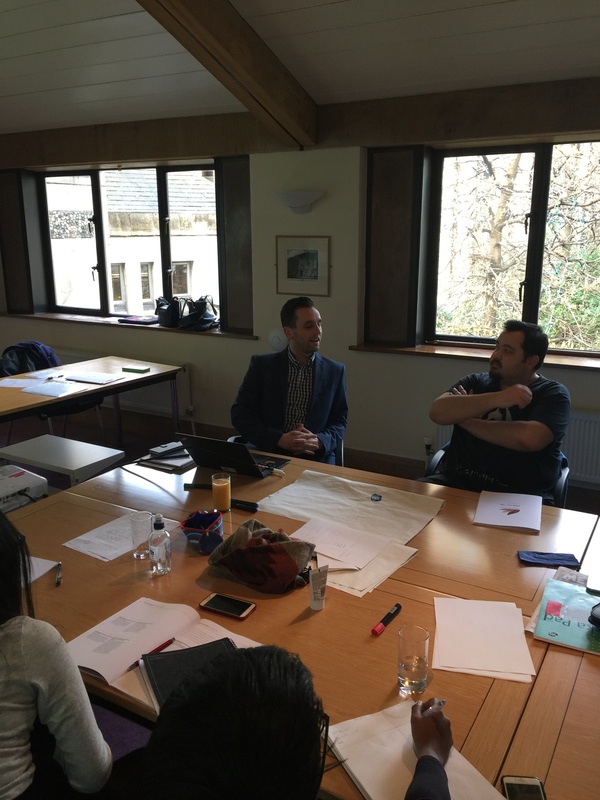 Tuesday – saw parts 3 and 4 of the MHFA programme be completed. This time, Healthy Bites Nutrition was sandwiched between the two sections. This invaluable workshop by Kate from HBN (www.hbnutrition.org) dispels myths around diets, the latest fads and new guidelines – such as only 7 tsp of sugar a day. Kate shares the cost savings in making your own food, cost comparison and ingredients as well as how to eat quickly prepared nutritious meals on a budget! Kate below preparing the Associates for making their own Pot Noodle! Sharing why recycling waste is so important was Dan from Suez, on the left below, on Wednesday. This got everyone thinking. A quick roundtable showed the difference between residential recycling across boroughs. Indeed one of the Associates who has never recycled was inspired to go through her bins! Thursday we talked finance. Covering the basics we should know around debt, regular payments budgets, and so on. It’s surprising how well received this workshop is but on reflection maybe it shouldn’t be so surprising. After all, where do you learn this stuff if you don’t have supportive, informed parents? Does the Education system have the time to do this? In the afternoon it was off to do an Art project! Terrifying for some! Their task was to visit Tate Gallery in Bankside and select an item that ‘spoke’ to them. This could be in a good or bad way. 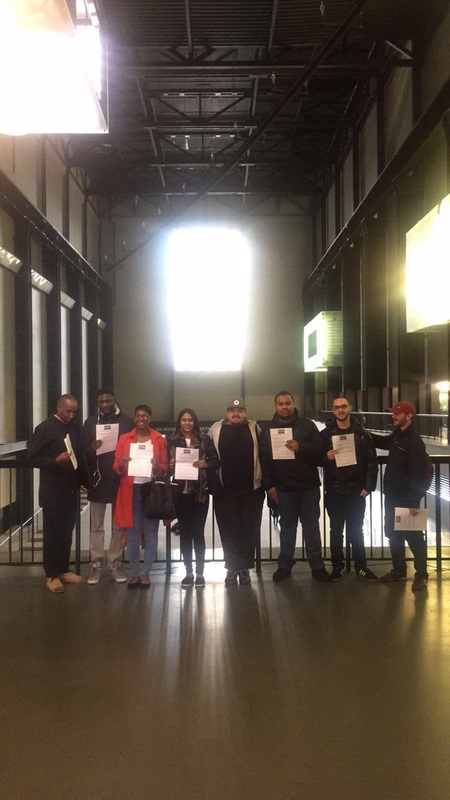 Left to right above inside the Tate are Mokhtar, Leon, Zainab, Ilamathy, Stefan, Ashley, Sebastien & John. Friday morning we had a good discussion on their visit to the Tate, why they selected their piece of art and what they would ask the artist……… then they had to draw it! You can see the results in the feature photo. So much laughter in the room. For some it ignited a childhood love of drawing for others it opened their eyes to a possible new creative way to feed their soul during lunchtime break and outside of work. 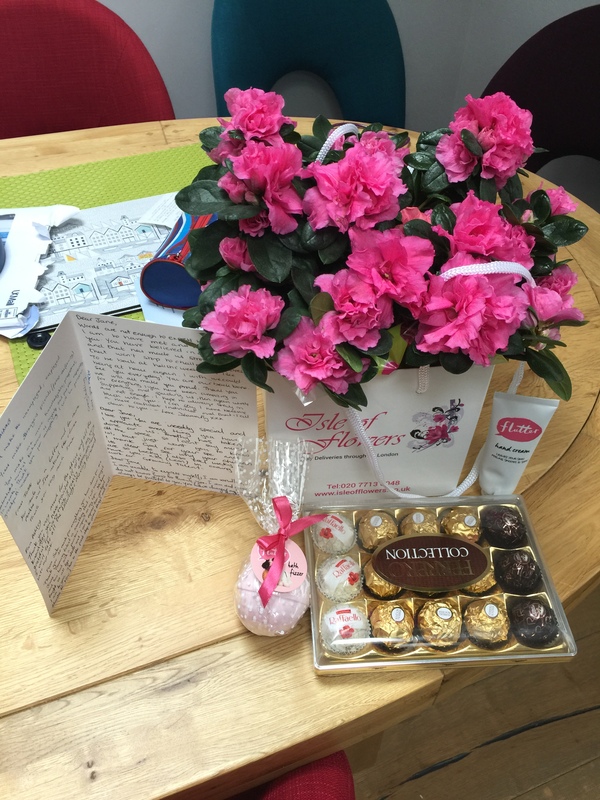 After some paperwork we finished up the week at lunchtime.They guys presented me with a lovely gift before going home for a well deserved break! 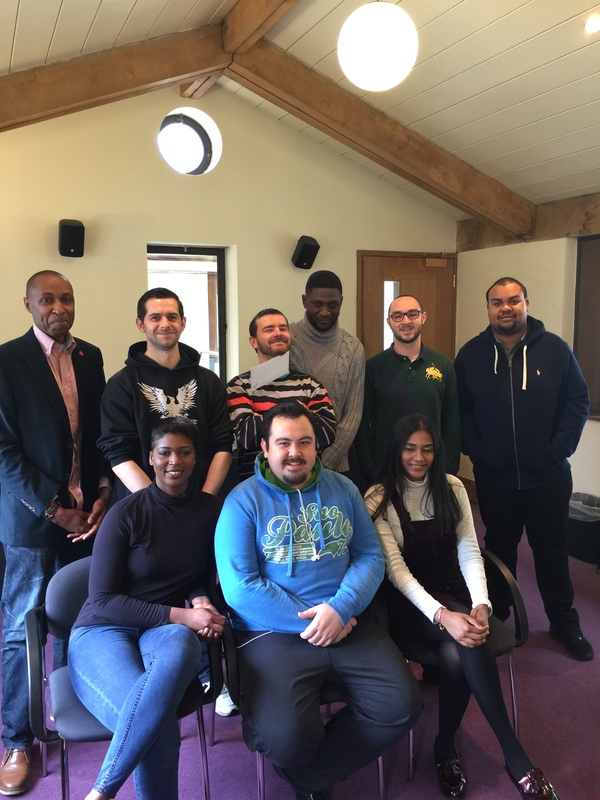 On Monday they returned to their employer sites: Zainab, Ashley & Mokhtar – Harrow Green, Craig, John & Ashling – Iron Mountain – Ashling had to work this week, Leon – Pertemps, Ilamathy – Red Personnel, Stefan – Mitie Connect and Sebastien at Invest In Buy To Let. Previous Who teaches work ethics?